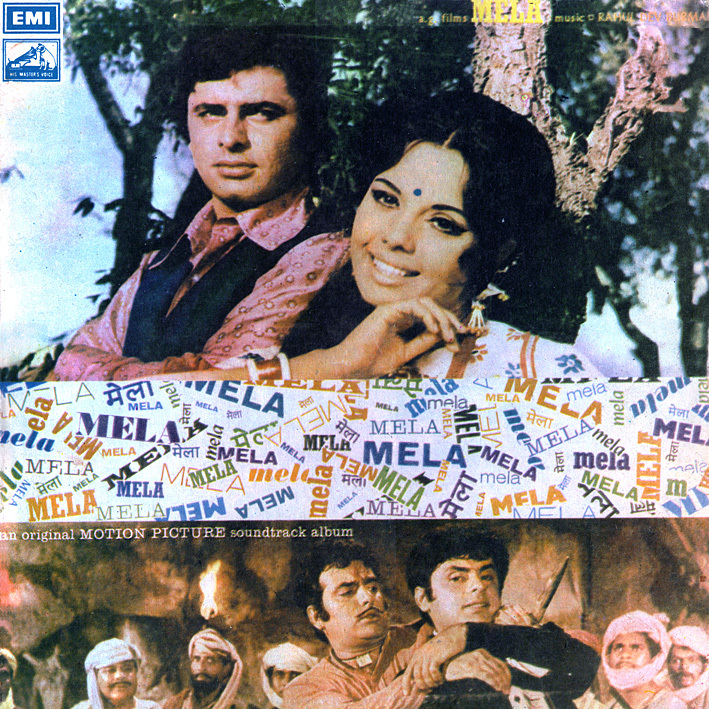 Early 1970s RD Burman soundtracks tend to be easy to like, but I must admit it has taking longer than expected to get properly into 'Mela'. It's a fairly pleasant one to listen to, yet there seems to be something lacking; hooks maybe, both melody-wise and in terms of the arrangements. Songs such as 'Dekho Re Hua', 'Kya Soch Raha Re' and 'Meri Sakhiyo Bolo' are all quite good (and each have their moments of nice instrumental details); they're just not great. The closest to that is probably the droney, psychedelic sounding 'Rut Hai Milan Ki'. The thing is, that after playing this album I don't feel any particular need to do so again, and that's always a worrying sign. Maybe it'll grow on me more if I persevere? Or maybe I'm just so used to Burman being almost consistantly brilliant that anything less that breathtaking from him throws me. many many thanks pc brother share for this great vinyl rip. all songs best and very popular song :- gori ke haath men chaandi ka challa, great work, keep it up. Yeah… as I said I don't think it's bad at all, just not that memorable. But then again he also did Hare Rama Hare Krishna and Caravan in 1971, so it's easy to forgive a slight lapse in quality.